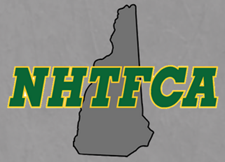 Home » Athletes » NH Middle School Meet of Champions! June 5th! NH Middle School Meet of Champions! June 5th! Attention Middle School Track & Field Athletes- June 5th Middle School Meet of Champions! On the heels of the high school Meet of Champions comes the 2nd Annual Middle School Meet of Champions. On Monday J une 5th, Milford Middle School is hosting this final scholastic competition of the season. Like it’s big brother, MOC’s is meant to bring together the top scholastic athletes from across New Hampshire in head-to-head competition. Athletes qualify by achieving auto-qualifying marks in the season or Top-6 finishes at their league championship, with complimentary entry for relays. Medals to top-3 and ribbons for next 3 athletes in each event with trophies for Boy and Girl Most Outstanding Athlete. FAT timing, certified officials, full concessions and meet t-shirts all help to make this meet a top-notch conclusion to the season that our athletes and coaches deserve. Full information on qualifying, registration, rules and past results can be found at http://nhmsmoc.weebly.com/. Any questions email coachjustinplatt@gmail.com. There will be standards that come out for MOCs based on season performances. Last year winner+ from County championships plus times qualified. I’m sure once the parameters are established they can be published on the site. Previous post Division 2 Recap!!! Next post MOC Reminder to Coaches!! !